In this edition: Free fall from the stratosphere, photography from down under, Tim Burton theatre to come, Vol•UP•2, beauty, friends coming and going. BEAUTiFUL One thing about living in France is that it is simply so beautiful, 360 degrees. If you plan your day right, you don’t have to spend any time at all averting your gaze. Where other cultures may place more value on efficiency, practical usage of time and resources, or high tech solutions, the French value beauty first. Things take longer to get done here. Any administrative task will probably make at least your eyes roll if you spend any time thinking about the time, disorganization and misdirected photocopies involved. There are annoying strikes that interfere with travel plans. There are mysterious flows of communication that don’t involve signage or notices but somehow the word gets around to those who need to know, just not necessarily when you needed to know. Living in France can be tricky sometimes. But at the end of the day, you just look around, and breathe a sigh of relief. The flowing Seine from Ile de la Cité to the far flung villages, the medieval footprint, left not so long ago, stray poppies blooming in the wheat fields, the strange rock formations stacked and stranded in the Fontainebleau forest, sun up, sun down. It is reliably so beautiful here. June 21 marks the summer solstice and also the Fête de la Musique, a World Music Day started in France in 1976 by American musician Joel Cohen. Each year the fete gets bigger and more interesting. Musicians play in the street, and communities organize free concerts. This year I participated in two concerts for fete de la musique, in Chartrettes and Samois sur Seine. Always a joy. I’ll hit the ground running this fall with shows supporting Australian recording artist Andrea Soler on the Paris leg of her European tour. Watch “Daydreamers” on her site! Sweet song. My upcoming shows listed here. 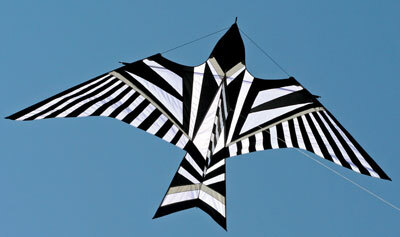 A cool activity for girls in Paris has just started! Spaces still available for Paris Girl’s Rock summer camp. Music empowerment for girls ages 8-16. Seven days of instrument instruction with instruments provided, song writing, lunch, concerts, master classes, & activities for all musical levels from beginner to advanced musicians. at 6 / 10 quai de Seine. 93200 St. Denis. The sessions are dynamic, fun and focused on girls making music. They include 7 hours of music empowerment tor 7 days: instrument instruction, song writing, lunch, concerts, master classes, & activities. Instruments provided. All levels welcome! REGISTER here for a 5% discount. Two very cool girls Marie et Mathilde formed The Bad Dogs before they hit their 20s. They’ve been playing, writing and performing for a few years now, and have released a rocking, soulful collection of tunes. They have played at the Pompidou Centre, and have been featured on Canal+’s live album of the week. Two thumbs up. KATHY GREENHOLDT and musician/producer Steve Dawson are finalizing her next album, When You’re Dead, Her songs are gritty, honest and understated, and worthy of multiple listens. 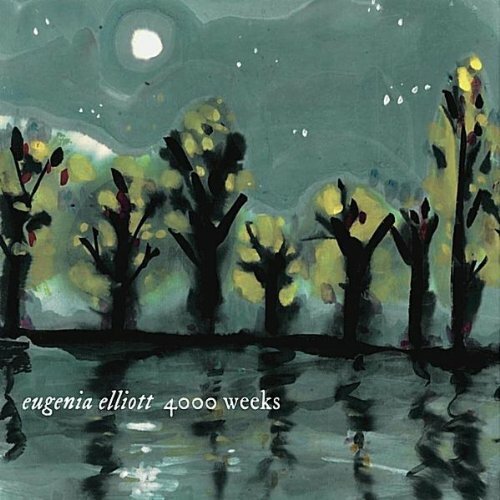 Singer/songwriter from Chicago USA, EUGENIA ELLIOTT releases her first solo project 4000 Weeks, a lovely collection of original songs coming from a Midwestern country tradition. Discover more about Eugenia on Amazon. Marie Cassidy has been writing the story of her life, her whole life. “The Magic Basement” takes us through the historically loaded early years of 1970-74, while Marie was a student at the School of the Art Institute of Chicago (my alma mater). Her book is part journal, part historical document and offers a window into the innovation, experimentation and open minded exploration of the early 70s in this creative environment. Pages include copies of free-flowing, slightly outrageous course syllabi, memories of class trips out into Lake Michigan and through the city of Chicago, theme parties, experimentation of all kinds, and art. The book is a window into the transition of an art school, an era, and an individual. Marie Cassidy is funny and honest. I loved reading every page of this. We love to stay in touch with fans by email. If you’d rather not receive the newsletter please hit reply with the subject line UNSUBSCRIBE. Have questions, comments, ideas, and feedback for us at MUSE news? Email hannahjudsonmusic@gmail.com and we’ll get back to you, pronto. 6 summer concerts. Brand new songs, along with a few Hannah Judson classics for loyal fans. Brian Clevinger is now joining us on bass. Opening night is July 4th. (Metaphorical) fireworks promised. This “traditional” Pigalle theatre reminds one of both the Star Ship Enterprise and I Dream of Genie. You’ll see! Tickets are 8€ with reservation. Free ticket if you bring a group of 8 or more. (Plus everyone in your group receives a CD of original songs “Underbelly.” This must be prearranged: hannahjudsonmusic@gmail.com). If you are going to be in Paris this summer, mark these dates! Please pass along the invitation to friends in Paris. If you are on Facebook the July 4th event info is here: https://www.facebook.com/events/308215299272313/. Please feel free to add friends to this event. Have a great summer & see you in Pigalle. HJ: How did you first start producing shows? Jasmina: I first started organizing show 8 years ago when I was involved in an Internet radio. We wanted to organize acoustic sessions in bars. I then left the radio but the bar still wanted me to organize gigs. That’s when I created ¡CLANG!. I stayed in that bar for a couple years more and then I ‘moved’ to Espace B where having a real venue, with a real stage was crucial to me, and I could start having an entrance fee so I could also pay the bands. I don’t care if the bands I book are famous. They have to start somewhere. I just have to like those I book! I really enjoy doing that, I can meet with different people and I even got involved in bands as their manager, which I didn’t plan to go 8 years ago but that’s where passion led me! HJ: What about your music? Jasmina: I started recording an EP a few months ago for my project Eilinora & the Daffodils. Time is running and months have passed so the EP still doesn’t exist. But I still try and perform from time to time, even if I play more in Malta as my drummer lives there. As long as I can create, having a CD is not a priority for me. HJ: What’s coming up in the future? Jasmina: I’d like to have this EP so I can get booked in other venues, I’d love to play in other areas than Paris. Concerning ¡CLANG!, the next event is on the 8th of May at Espace B with the great Parisians The Chickties and the fantastic Maltese band Dolls For Idols before they go to the EuropaVox festival. It will me my 35th even as ¡CLANG! so the venue offers free couscous to everyone. Entrance is only €5 so I hope people show up cause the two bands deserve fame.